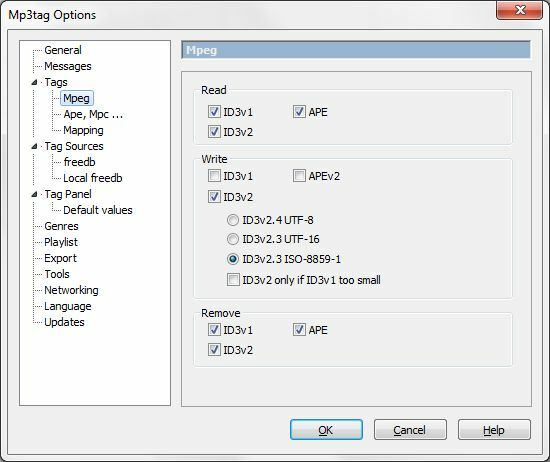 MP3Tag is a free piece of software for Windows that allows you to manage and edit tags of audio files. It supports various tag types and pretty much any common audio format you're likely to be using, including MP3, FLAC, Ogg Vorbis, APE and WMA. The advantage of having your music tagged properly is that it makes it easier to manage your library, whether you're using a DVS for DJing or you're using a hardware or software based music player. It supports 29 different languages, so if English isn't your first language, you should be covered. I always make sure that the actual file and folder names of my music are correct and nicely formatted, as that's going to be the basis of my tags, plus it's also easier to browse and search for files and folders on my PC. Once you've done this, you can use actions in MP3Tag to automatically tag your files based on file and folder names. 1. 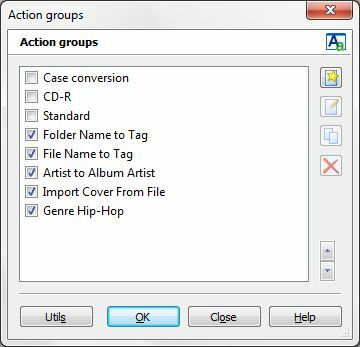 Make sure at least 1 audio file is selected in MP3Tag, highlight it, then click on the Action button in the toolbar, choose Actions from the Actions menu, or press ALT and 5. That'll open the actions window. 2. Click the button top-right to create a new action. Give it a name and hit OK. This opens another window that's similar to the first. 3. Click the New button again (top-right) and select "Guess values" from the drop-down list and hit OK. A new window will open. 4. In the "Source format" box enter in "%_directory%" without quotes. 5. In the "Guessing pattern" box, enter in "%artist% - %album%" without quotes and then hit OK. Your action has now been created. If you don't use the same folder naming scheme as I do, you can edit the action accordingly. Press Help on the Actions window for more tips. 4. In the "Source format" box, enter in "%_filename%" without quotes. 5. In the "Guessing pattern" box, enter in "%track% - %title%" without quotes and then hit OK.
Again, if your file naming scheme is different to mine, you can edit the information accordingly. The artist and album artist fields are usually the same. The exception would be with compilations, where the artist is the artist of the particular song, while the album artist would be "Various Artists". Some hardware/software players will read the artist info from the artist field, while some will use the album artist field. It's therefore a good idea to fill out both. This action will simply copy the artist info to the album artist info field, which I do for all non-compilations. 3. Click the New button (top-right) and select "Format value" from the drop-down list and hit OK. A new window will open. 4. In the "Field" box, enter in "ALBUMARTIST" without quotes. 5. In the "Format string" box, enter in "%artist%" without quotes and then hit OK.
As you probably know, you can insert album art into the tag of audio files and this will be displayed by some hardware/software players when you play the song. 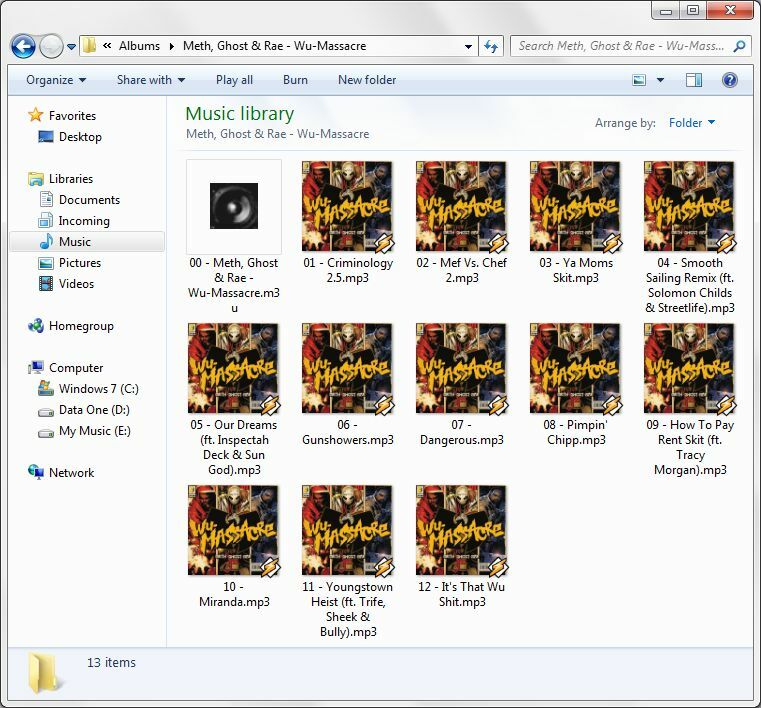 In Windows, if you place a picture of the album cover in the same folder as the music and name that picture "folder.jpg" it will be displayed as folder art. This action will look for folder.jpg files inside folders and automatically embed them into the music found in those folders. 3. Click the New button (top-right) and select "Import cover from file" from the drop-down list and hit OK. A new window will open. 4. In the "Format string for image filename" box, enter in "folder.jpg" without quotes. If you want any existing album art to be over-written, you can check the box to do that. Hit OK and you're done. Using the actions above, I can quickly tag a whole bunch of files in a single click. The actions I have selected there cover everything except the year of release of the song/album. Some may argue that you're better off just using freedb or another database to pull the info in from the web, but as I mentioned above, this info is not always correct, plus for more obscure music, there may be no info available at all.